2 Bedroom Ground Floor House For Sale in Sheffield for Guide Price £110,000. 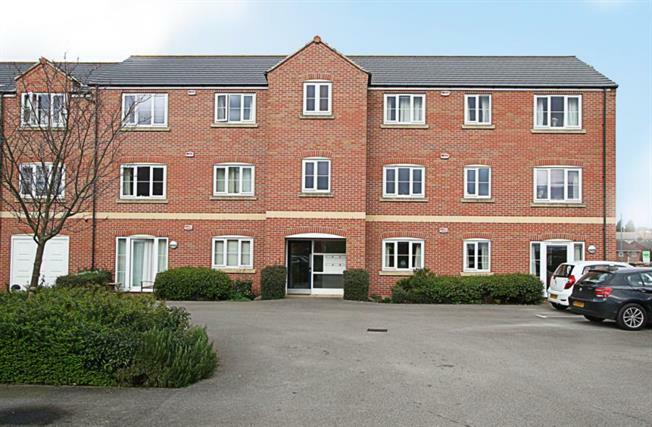 An impressive two double bedroomed ground floor apartment available to market with tenant in situ, the perfect purchase for an investor landlord looking for a ready made package with estimated rental yield of 6%. Forming part of this fantastic residential gated development in the heart of Eckington, located close by to ample local amenities, shops, cafeterias, restaurants and the local public swimming pool. The apartment offers contemporary and well-presented accommodation through-out and benefits from gas central heating, double glazing and French style doors accessing the allocating parking. The accommodation in brief comprises: entrance hallway with ample storage cupboard and security intercom system, a door leads through into the open plan stylish lounge through open plan kitchen living area, having a range of wall and base units with integrated appliances to include gas hob, electric oven, extractor fan , automatic washing machine, along with space and plumbing for a fridge freezer. Master bedroom with access to a en suite shower room, double bedroom two and main bathroom having a three piece suite comprising: wash hand basin, low flush wc and bath. Externally the property comes with secure allocated parking.